Leonardo DiCaprio, born November 11, 1974, celebrated his 39th birthday this month. A three-time Academy Award nominee, DiCaprio is now one of Hollywood's foremost film stars. 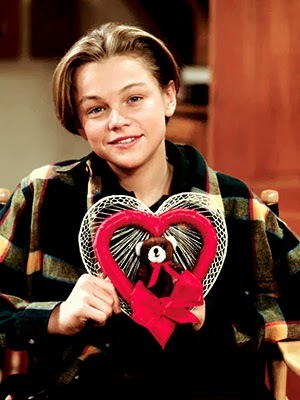 Although Leo is primarily known for his movie roles (especially his portrayal of Jack Dawson in the 1997 blockbuster film Titanic), it is interesting to look back at his early career in television. The actor's road to stardom really began when he joined the cast of the ABC sitcom Growing Pains. Leonardo Wilhelm DiCaprio was born in Hollywood, California, the son of comic book artist George DiCaprio and his wife Imelin. When Leo was a child, his parents signed him with a talent agent and he appeared on several television commercials and educational programs. In 1989, he appeared in two episodes of the family/adventure series entitled The New Lassie as a character named Glen. The episodes are entitled "New Generation" (Season 1, Episode 10) and "Snake Pit." (Season 1, Episode 22). Leo then had a role as Kid Fighting Scout in 1990 pilot for the TV drama The Outsiders (Season 1, Episode 1, Air Date: March 25, 1990). That same year, the teenager was cast as young Mason Capwell in five episodes of the daytime soap opera Santa Barbara. In 1991, he had an uncredited part as Darrlene's classmate on Roseanne in an episode entitled "Home-Ec" (Season 3, Episode 16, Air Date: February 5, 1991). In the episode, Rosanne Connor (Roseanne Barr) speaks to her daughter Darlene's (Sara Gilbert) class on career day about being a homemaker. 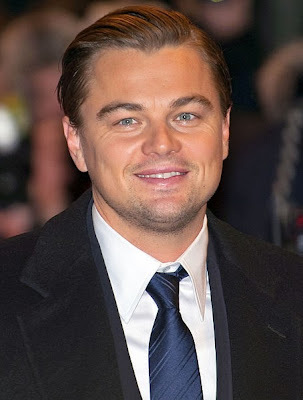 From 1990 to 1991, Leonardo DiCaprio played Garry Buckman in the short-lived NBC comedy/drama Parenthood. The television series, starring Ed Begley Jr., had six executive producers, including Ron Howard. It was loosely based on a 1989 Ron Howard film about raising children. The film, also titled Parenthood, was well received by critics and it featured an ensemble cast which included Steve Martin, Dianne Wiest, Jason Robards, Rick Moranis, Keanu Reeves and Mary Steenburgen. The 1990-1991 television version of Parenthood lasted for one season and only 21 episodes of the series were produced. Leonardo DiCaprio, however, earned recognition for his portrayal of Garry Buckman. He was nominated for the 1991 Young Artist Award for Best Young Actor Starring in a New Television Series. In 2010, a second version of Parenthood began airing on NBC. The second adaptation, created by Ron Howard, has proven to be more successful than the first. On April 26, 2013, the NBC network renewed it for a fifth season. From 1991 to 1992, Leo had a regular role in the popular comedy Growing Pains. For the seventh and final season of the series, he was cast as a troubled teen named Luke Brower. DiCaprio was just 16 years old when he won the part. The headline in a November 11, 2011 article in The Hollywood Reporter by Bill Higgins describes it as his "breakout role." Higgins writes that it was the actor's "23 episodes on Pains as Luke Brower, a homeless boy, taken in by the Seaver family, that really put him in the public eye." In 2011, Joanna Kearns, who played Growing Pains matriarch Maggie Seaver, told Entertainment Weekly that she knew that young DiCaprio would become a superstar. According to Kearns, the actor was great fun and he could imitate anybody. She described how impressed she was with Leo's talent. 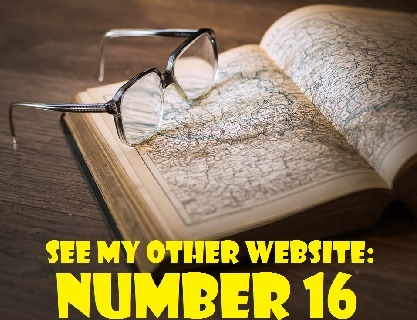 "I never knew a kid that had that wit and intelligence and that ability to capture a room," she stated. Kearns also remembered how Leo would often hang around the set of Growing Pains with Tobey Maguire, his future co-star in The Great Gatsby (2013). She recalled that "they always looked like they were in trouble or had been in trouble and were talking about it." Leonardo DiCaprio's portrayal of Luke on Growing Pains remains his last television role. During the next few years, he would begin to make his mark in big screen movies such as This Boy's Life (1993), What's Eating Gilbert Grape? (1993), for which he received an Oscar nomination, and Romeo and Juliet (1996). In the last picture, Hillary Swank can be seen along with Di Carprio and Jeremy Miller.